9th annual Taste of Yaletown lunch tasting at Good Wolfe Kitchen & Bar in Yaletown on October 10, 2013. Take back lunch. That motto is the affluent and chic downtown neighbourhood of Yaletown's credo for this year's Taste of Yaletown restaurant offerings. In a quick hour, the Yaletown BIA toured us around to the brand new Good Wolfe joint to see what their 3-course TOY menu had to offer. 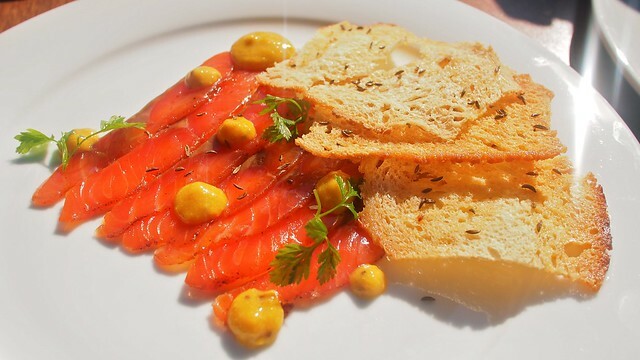 To start, the steelhead pastrami appetizer (with maple mustard, chervil, and caraway) was a light, flavourful dish. The house terrine (not pictured) with the best mini baguettes was also a winner. 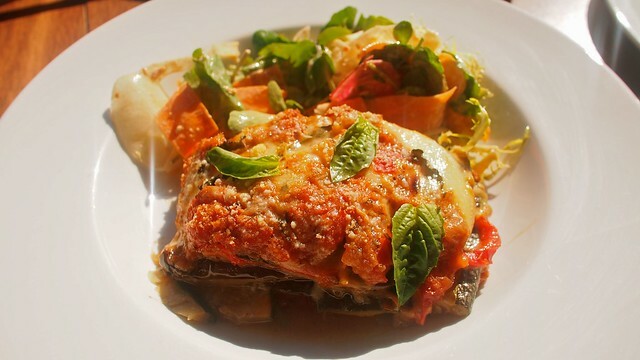 For veggie lovers, the ratatouille lasagna (made with eggplant, zucchini, tomato, basil, and fresh mozzarella) was lasagna sans the pasta (so glutton free). It was definitely smooth, rich, and intriguing, even for a carnivore. 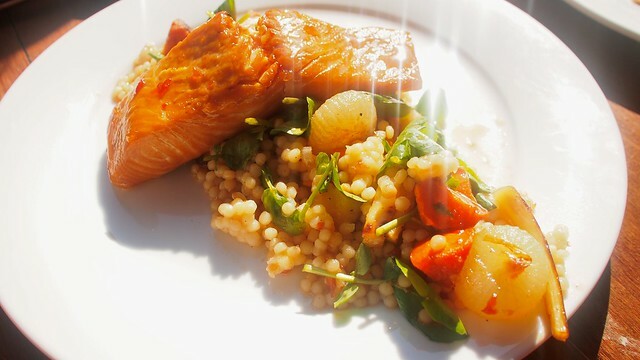 Their hot smoked BC salmon (with maple chilli Israeli couscous salad) was delightful in its smokey composition. The salmon was crisp on top with a nice caramelized texture and taste. 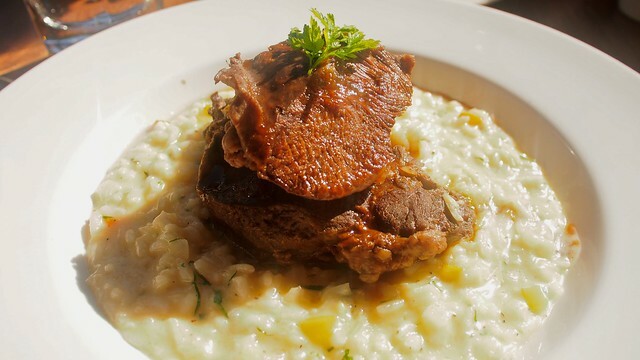 It's hard to beat the braised beef cheek served on country style risotto with its rich, tender flavour and all-around goodness. The beef was so moist and scrumptious as a definite highlight. As well, the lemon cake for dessert was a sugary, lavender treat. Taste for yourself.